Xiaomi has been on a roll lately, launching a plethora of phones already in the Q1 of 2018. Not to forget the recent IPO, which was one of the most hyped public offerings in Asia. However, not everything has been happy news for the company. Recent reports suggest Xiaomi relied on peer-to-peer(P2P) lending platform ads, which were later found to be fake, resulting in massive losses for the investors. As reported by TechNode, many Xiaomi users have found that some of the financial products that they invested in through Xiaomi were found to be scams. They’ve further accused Xiaomi of pushing fraudulent ads and lacking moderation on the lending platform. As per the reports, some of the platforms promised high returns for RMB 30 or 50 thousand (around Rs 3-5 lakh) investment, which were very tempting for investors. Unfortunately, many of them proved to be scams, where operators fled with investors’ money and some are having troubling meeting the high promised returns. 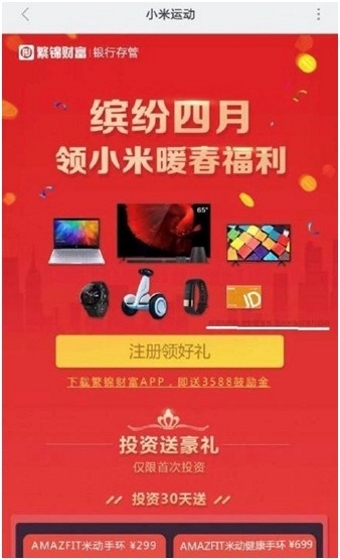 These ads have been reported to be displayed in the Xiaomi VIP and Xiaomi Sports app. The Xiaomi VIP is a MIUI feature where users can receive various bonuses such as phone calling credits and membership discounts from Tencent video for downloading a game or app from the phone’s game center. On the other hand, the Xiaomi Sports is another built-in app that tracks users daily fitness data. As per the report, both of these apps included registering at the P2P lending platforms, which turned out to be mostly fake. Xiaomi increased marketing for these P2P platforms in July 2017; the company’s ad promotion has achieved a revenue of RMB 1.9 billion, 9.4% of Xiaomi’s total revenues. However, people inside Xiaomi who are familiar with the matter said that they have received users’ complaints since June. In fact, there have been 429 users who have filed a complaint and the total amount of money involved was up to about RMB 40 million (roughly $6 Million USD). That being said, the report goes on to suggest that some of the money has been retrieved. As of now, Xiaomi hasn’t issued an official statement on the issue.